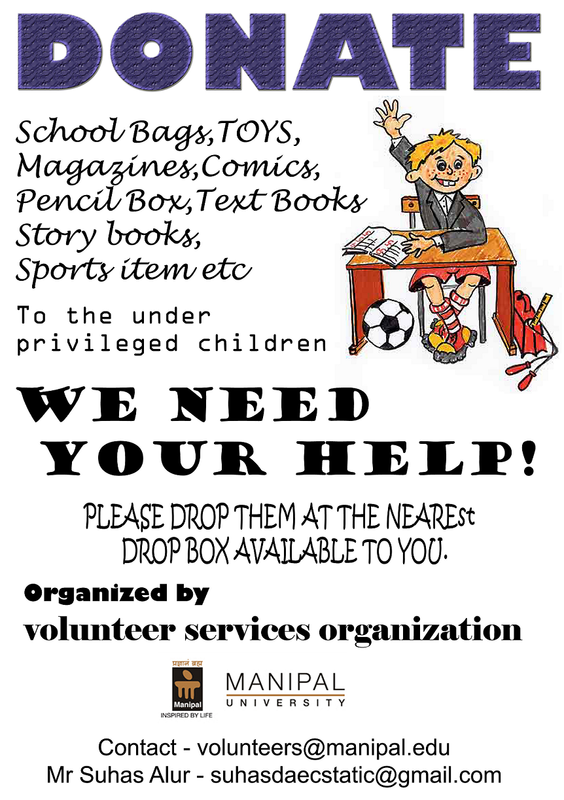 We aim to collect used books, clothes, toys and stationery which would otherwise be discarded and wasted. We intend to donate these items to the underprivileged children, so that they can be put to better use. 1) BOOKS:This includes storybooks for school going children in both Hindi and English as well as school books. 2) Footwear in reasonable condition & in complete pairs would also be appreciated. 3) MISCELLANEOUS: We request you to donate old lunch boxes, school bags, toys, water bottles and unused or half – used notebooks and / or registers. Pens & pencils, sharpeners & erasers in a usable condition would also be welcome.